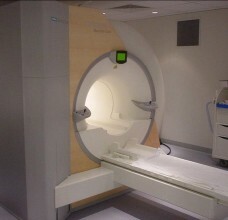 Magnetic Resonance Imaging (MRI) is a scanning technique that uses a high powered magnetic field and radio frequency waves to produce exquisitely detailed images. It is a safe method of scanning which does not involve exposure to x-rays. The patient simply lies on a table which slides into the scanner. How far in depends on what body part is being scanned. MRI scans take longer than CT scans to perform (average 30 minutes in the scanner) and the scanner itself can be noisy so headphones are offered and in some hospitals you can bring a CD of your own choice of music for your scan. MRI scans are particularly useful for imaging the brain and the musculoskeletal system (e.g. 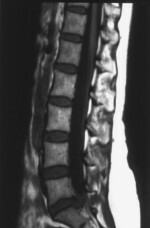 spine and knees) but can also be used to image the arteries when the technique is then called MRA or Magnetic Resonance Angiography. Apart from supervising and reporting scans the role of radiologists like Dr. Crowe is also to advise patients, general practitioners and other specialists which type of scan (ultrasound, CT or MRI) is best to answer the particular clinical concern at the time. MRI scanning is very safe but there are certain exclusions on safety grounds, particularly that individuals with cardiac pacemakers should not go into an MRI scanner. Dr. Crowe can offer private MRI scanning at the Priory Hospital, Spire Parkway Hospital and Spire Little Aston Hospital as well as 9 Harley Street and at the Princess Grace Hospital in London. For further information or to make an appointment please use the contact form or speak to Dr. Crowe’s secretary on 0121 448 1502.